A Bolt Carrier Group (BCG) is the primary functioning part of an AR-15 rifle. Proper selection of a good BCG can mean the difference in dire situations. There are a ton of aspects which come into play when choosing a BCG for your rifle. The BCG is inevitably the most important and complex part of an AR-15. To help ease things, we’ll talk here about the characteristics of an ideal BCG. You’ll also get to learn about some of the best BCGs available on the market to help you make your buying decision. So let’s get on with it! What is a Bolt Carrier Group (BCG)? 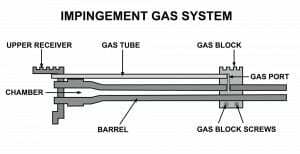 The direct gas impingement system of an AR-15 uses the gas released after firing a bullet to move the bolt carrier group backward and forward to perform the three functions - cycling, ejection and reload. The BCG offers the AR-15 semi-automatic firing capabilities which means you can fire rounds consecutively without the need for pulling the charging handle after every shot. A BCG is the part which makes the AR-15 semi-automatic and the most-desired rifle. What to Look for in a Bolt Carrier Group? Since the bolt carrier is the primary functioning part of an AR-15, it should be flawlessly perfect to deliver optimum performance. There are several important factors you must consider before choosing a BCG for your AR-15 rifle. The first and foremost thing to consider is the material. 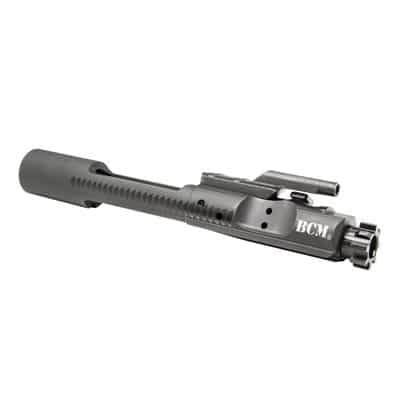 BCGs are generally made of steel, although aluminum, titanium and hybrid models are also available on the market. The steel is further classified into different classes, but the most common ones for manufacturing BCGs are 9310, and Carpenter 158 Steel. The BCG faces a lot of heat and stress, and these steel variants fit the job perfectly well. They are easy to machine and widely available. The 9310 Steel is tough and durable and is being widely used by manufacturers these days for BCGs. Carpenter 158 steel, on the other hand, is specified by the military for use. It is durable with high core strength and hardness, along with excellent water resistance. Materials used for manufacturing BCGs must be properly treated and processed to deliver optimum performance. Heat treatment refers to subjecting the steel to high temperatures and then cooling it to impart tensile strength and remove fatigue. Shot peening is the process in which tiny metal balls are shot at the steel to relieve stress from the metal. A BCG that has undergone heat treatment and shot peening ensures you about its strength and quality. According to mil-spec requirements, the bolt carrier group must be chrome-lined on the inside. This provides a smoother and corrosion resistant surface on the inside, increasing the life of the BCG and making it easier to clean. Most manufacturers line the BCG on the outside but not on the inside. So make sure you buy the inner-chrome-lined version. The Bolt Carrier Group undergoes enormous gas pressure every time a shot is fired. The gas key is secured to the carrier using two hex screws which also prevent the gases from escaping. These screws are staked (metal on their sides is smashed onto them) so they cannot move due to the high gas pressure beneath. This also eliminates the chances of any accidental failures in the future. To ensure the quality and reliability of their product, manufacturers put their BCG’s through two very rigorous test procedures to find any defects in the products. These methods are HPT (High-Pressure Testing) and MPI (Magnetic Particle Inspection). Under HPT, a high-pressure test cartridge (higher than normal service loads) is fired from the BCG. The BCG further undergoes detailed inspection for any wear, malfunction or cracks in the metal. In MPI, the bolt is placed between the poles of an electromagnet and saturated with a suspension of magnetic particles. Using a UV light, the BCG is then inspected for any wear or malfunction. These tests can be done on individual BCG’s or in batches. Try to find an individually tested BCG as it obviously translates to proper inspection of a product. Weight is always a matter of concern when it comes to firearms. Choosing a lightweight BCG over a standard one can mean a substantial difference (up to 6 ounces) in weight. However, there are certain conditions to it. Lightweight BCGs, apart from being low-mass, also help in reducing recoil. That’s because the BCG moves towards the shooter when a shot is fired. Lightweight BCGs are not for the average shooter and are more useful for competition shooters, especially when it comes to semi-auto shooting. Using a low-mass BCG forces you to make several changes to properly tune your rifle. Additionally, they also confine you to using specific kind of ammo. Now that we know what to look for, let’s have a look at some of the best BCGs available. Daniel Defense presents us with this complete BCG full-auto assembly made from carpenter 158 stainless steel featuring a shot-peened bolt for added durability. It also features an extractor booster to ensure reliable cycling during rapid fire. Each assembly undergoes individual MPI testing to ensure there are no cracks or imperfections. The gas key has been properly staked to prevent the leakage of gases while firing. This BCG features a mil-spec phosphate matte black finish on the outside and a full-length shroud on the base, making it compatible with full auto rifles. 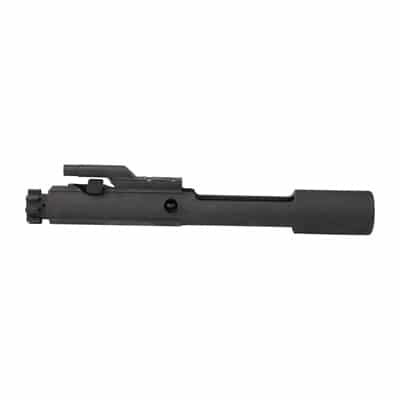 The bolt carrier group is easy to install and hardly poses any problems when in use. The price relative to the features and quality of this BCG is perfect. 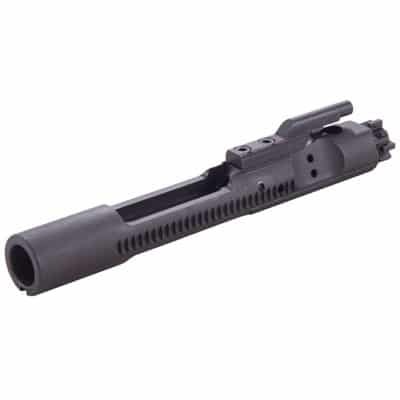 Overall, this Daniel Defense BCG offers the best value for money. Machined from carpenter 158 steel entirely, this full-auto bolt carrier group features an ion bond coating on the outside and a chrome lining on the inside. Components have been shot peened for added strength and each BCG undergoes MPI and HPT testing before leaving the production line. The shrouded base will actuate the automatic sear on a full-auto-capable lower receiver. The carrier group has an ion bond outer finish which makes the operation frictionless. Additionally, the BCG is easy to clean. The manufacturer claims to test-fire all the BCGs before they leave the factory and say they bear handling marks consistent with these quality control procedures. It is easy to install, looks aesthetically pleasing and sits at a decent price point. Our first product is a fully-assembled full-auto bolt carrier group from Brownell’s. The bolt has been machined from carpenter 158 steel and the carrier has been machined from hardened 8620 steel. The bolt has been heat-treated and shot-peened to add strength to the metal. The gas key screws have been properly torqued and staked. The manufacturer claims to have conducted MPI and HPT testing, however that has not been stamped on the BCG. But since it comes from Brownell’s, this claim can be accepted. The interior has a chrome lining for extended service life and easy cleaning. The BCG features a mil-spec standard phosphate finish which is pretty much the reason for its low price. It features a shrouded firing pin to protect it from any damage. 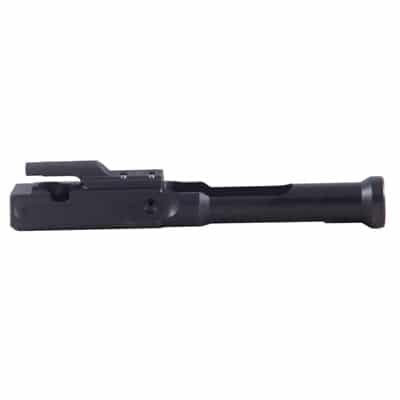 This model is a standard BCG which can be seen as a simple, low-cost replacement for your existing bolt carrier group. The bolt of this BCG has been made from standard carpenter 158 steel, whereas the carrier has been made from 8620 carbon steel, which makes it quite durable. This is a full-auto bolt carrier group with a chrome lining on the inside. It features a standard mil-spec phosphate finish on the outside. The BCG is Magnetic Particle Inspected and features a staked gas key. Overall, this is an average bolt carrier group. The inner chrome lining is good but is quite prone to fouling and dirt. The finish of the final product might vary from product to product, but the BCG is still aesthetically pleasing. The not-so-high price range and mil-spec design make it good for hunting, target practice and home defense. 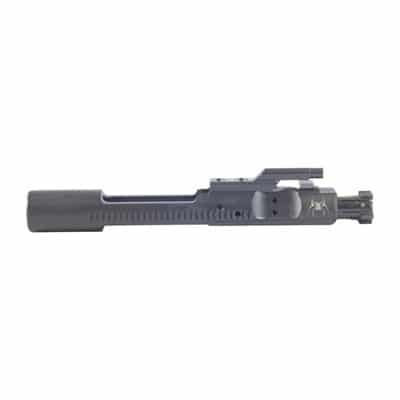 JP Enterprises offers this low-mass/lightweight bolt carrier group. This BCG has been manufactured from 416 stainless steel and it has a lower reciprocating mass. This reduces the recoil impact towards the shooter. This helps make this BCG the perfect choice for competitive shooting. It also features a staked carrier key and a dust-cover notch. This BCG must only be used with low-mass components compatible with it. The price suits the design and functionality of this low-mass bolt carrier group. It has been designed uniquely for competitive purposes and is not really meant for the average shooter. The are several different types of coatings available for the bolt carrier groups. A coating ensures that the BCG is resistant to wear, smoothly operating, easy to clean and good-looking. Mentioned below are some of the best BCG coatings available on the market. Phosphate is the standard and most-widely-used coating for bolt carrier groups. To apply this finish, the BCG is submerged in a heated phosphoric acid solution with manganese and is then heated to about 200 degrees Fahrenheit. This process leaves the BCG with a thin and even phosphate coating which is extremely resistant to wear and tear. This is the most commonly applied coating to BCGs and is quite inexpensive. The only problem is that it is quite susceptible to fouling and a bit difficult to clean. A nickel boron coating uses an auto-catalytic process to deposit a layer of nickel onto the steel. The process does not require any electrolytes and is hence called an electroless process. This coating is extremely resistant to corrosion and is almost frictionless. The nodular structure of the coating helps in the dissipating heat at a far greater rate, making it apt for full-auto weapons. This coating is very easy to clean and eventually looks aesthetically pleasing. Additionally, nickel boron coatings are not very harsh on the wallet. A titanium nitride coating is extremely durable, smooth and slick. 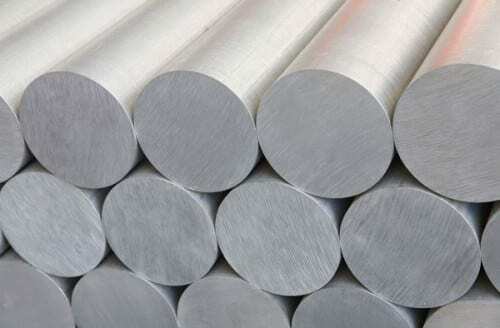 It is tougher than phosphate and nickel boron coating and offers a longer service life to the BCG. The best part of using a nitride coating is its unmatched resistance to corrosion and heat and its splendid looks. Nitride is known to change the molecular structure of steel, making it harder and smoother as compared to other coatings. The only thing what might concern you is the price, but that will surely be a good compromise for quality and aesthetics. Nothing very technical about this type of coating. It combines the properties of all of the above-mentioned coatings to deliver a durable, wear-resistant, heat-resistant coating with a long-lasting finish. These type of coating are a bit costly compared to the standard mil-spec coating but they are definitely worth the price. Full-auto vs semi-auto BCGs is quite a heated discussion on AR-15 forums. 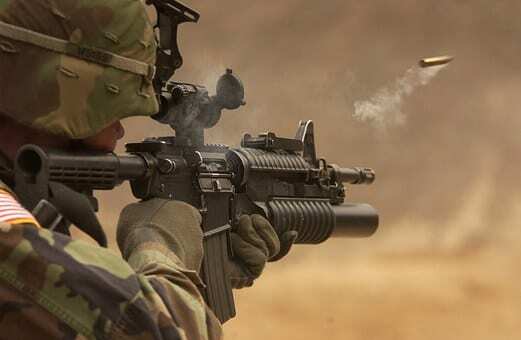 As the name suggests, a full auto BCG can be used to operate a weapon in full-auto/burst firing mode. And a semi-auto BCG allows only the semi-automatic shooting mode. It is important to learn that simply installing a full-auto BCG in your AR-15 doesn’t make it full auto. It requires several other parts to work it that way. The only benefit of using a full-auto BCG is that you can convert your weapon into a full auto design when you want (and where it’s legal; please make sure you are being 100% complaint with laws and regulations in your area). The difference in the price of a full- and semi-auto BCG is negligible. A full-auto BCG is slightly longer at the rear than a semi-auto variant and features a lug. The lug pushes the sear downwards in full-auto weapons, allowing burst fire. The length and added metal makes it heavier and obviously a bit higher in price, but not much. Full-auto BCGs work flawlessly with semi-automatic weapons and their heavier weight helps in reducing recoil to some extent. Semi-auto BCGs, being lighter, are compatible with lighter buffers than their full-auto counterparts. So you can also shed weight there if you choose a semi-auto variant. One major difference between semi-auto and full-auto BCGs is the shrouded firing pin. A full-auto model features a shrouded firing pin. In the absence of a disconnector pin, the hammer will keep snagging on the firing pin after every round. This damages the firing pin and sometimes results in jamming of the gun. The shrouded metal piece ensures that the hammer hits the carrier. As an alternative, you can also use firing pins having small diameters with semi-auto BCG. A bolt carrier group is the heart of an AR-15 rifle. It has a gas impingement design which performs firing, ejection and cycling of rounds consecutively. Factors such as weight, staking, inner lining and testing must be considered before choosing a BCG. A full auto BCG is more preferred these days due to its versatile nature and shrouded firing pin. Low mass BCG’ on the other hand have their own benefits such as lesser recoil, but they largely suit competitive shooters. Individually tested bolt carrier groups from a renowned manufacturer highly improves your chances of buying a good Bolt Carrier Group.